This single-lever mixer's high swivel spout means hair-washing over the basin is trouble-free. The integrated GROHE SilkMove cartridge gives the lever a soft action and makes operation ultra-light touch. GROHE EcoJoy water-conservation cuts your water use by up to 50%. The built-in pop-up rod activates the plughole effortlessly. 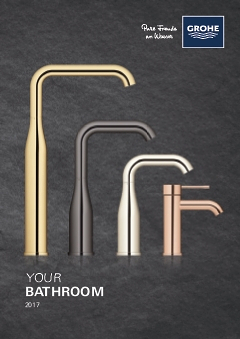 This dazzling basin tap will enhance your bathroom's look. Presented in GROHE StarLight chrome, it is effortless to maintain as well as being long-lasting. Our easy installation system means you'll have it fitted in no time.